No need to forgo style for practicality when choosing a set of wheels for your baby. The trusty folk from phil&teds have come up with a genius pram that’s the full package! 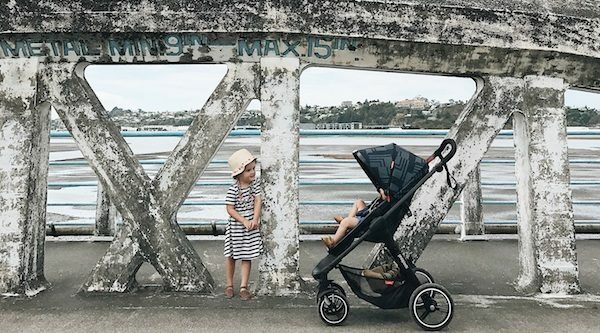 The all new mod from phil&teds is cutting a stylish path through the parks and streets of Australia, but this gorgeous pram offers much more than just good looks. Carefully designed to be “newborn-ready”, the mod is aimed specifically at first time parents, ticking all the appropriate boxes in terms of design, flexibility, value and quality. It’s a no-brainer, practical choice for a first pram. The mod from phil&teds is also the perfect pram for littlies who want to sit up and see the world. As Briar from Sunday Collector discovered when she put the mod through its paces with her 12 month-old son, Rafferty. It has a fully reclinable seat, ensuring that even the freshest of newborns is accommodated cosily and comfortably. Airless Aeromaxx tyres and sophisticated suspension make for a smooth ride and ensure the mod is effortless to manoeuvre. There’s a generous parcel tray underneath, poised to make market day or park-side picnic packing a whole lot easier. A light squeeze of the hand-operated brake will gently stop this pram in its tracks so you can stop and smell the roses with your kiddo. The huge extendable sun hood is just made for our sometimes harsh climate and keeps your kiddo protected from the elements. 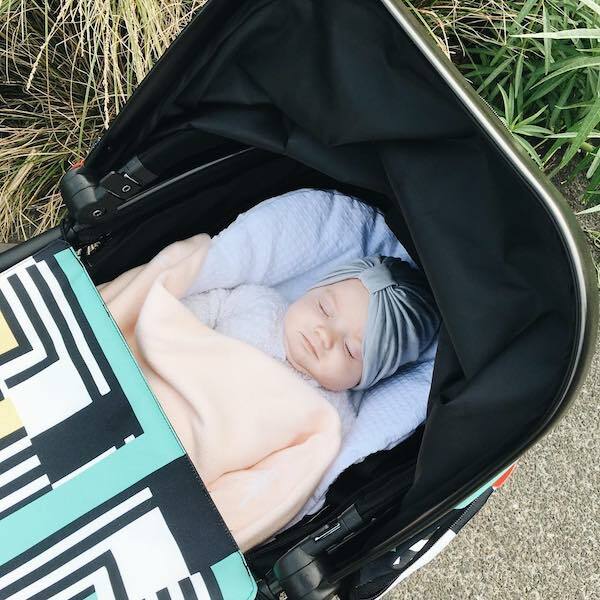 On those less-than-sunny days, the mod’s cosy toes footmuff slides onto the pram and ensures your baby is snug as a bug (and toasty too!). The mod’s compact, super-slim profile and simple folding mechanism make it a perfect solution for tight spots – especially useful when you’re squeezing into your favourite cafe or through the grocery store checkout. 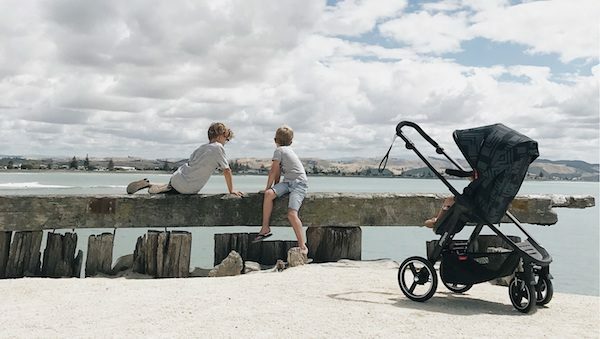 The mod is suitable from newborn to four years and has an adjustable safety harness and an adjustable handle to cater equally to petite mums and dads. The seat reclines with a seamless push of an easy-to-reach lever, confirming yet again that the mod is designed with functionality and comfort top of mind. 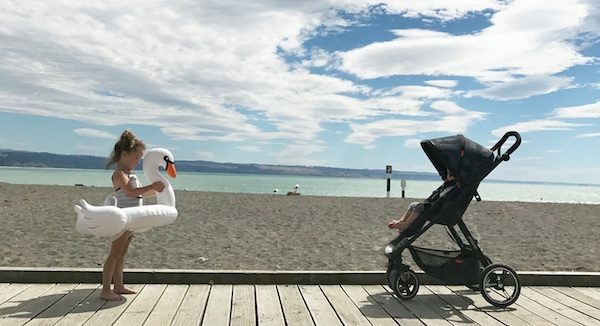 This gorgeous stroller is built to suit your child – and will grow with them too. Configured as parent-facing, it allows for the security of face-to-face bonding. Flip the seat to face the world instead and foster independence, curiosity and confidence too. It’s the perfect fashion-forward, four-wheeled companion for all kinds of parent-kid adventures. Shady days, snug rides and cosy toes are just a click away! You can pick up the mod now from Babies R Us for $699.99.